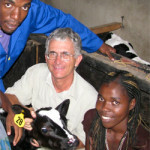 Larry Kies is a United Methodist missionary with the General Board of Global Ministries serving as technical advisor to the Africa University Farm at Mutare, Zimbabwe in southern Africa. Africa University is a United Methodist Church-related institution that is being nurtured and funded by church members from all over the world. It is a consequence of the growth of United Methodism on the African continent and has its foundations in the history and legacy of the church. Africa University opened in March 1992 as the first private, international university in Zimbabwe. Larry’s duties involve working with the farm manager to develop an agricultural program that makes the university farm more efficient in its roles of teaching and research. In addition, he is involved in student agricultural practices, and he teaches classes in crop production and farm management. FUMC sells HyVee gift Cards. 5% from every card goes toward Larry and his mission. Never before did buying milk seem so simple to partner with a missionary. Mr. Kies was raised near Jesup, Iowa, where his parents gave him his love of farming and sense of global mission. After graduating from Iowa State University with a Bachelor of Science degree in biology, he began a 15-year career in Botswana. He first served as a Peace Corps Volunteer teaching agriculture, then managed the farm and taught at Maun Secondary School. Larry returned to the US to earn a Master of Science degree in vegetable crops at the University of California, Davis. While at Davis he was active in the Davis United Methodist Church, playing guitar and singing in the folk choir, leading the singing for youth Sunday school, and helping teach adult Sunday school. In 1994, he returned to Africa to manage a beef, dairy, cotton, and maize farm. 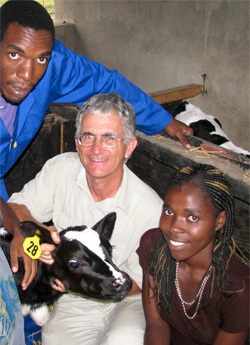 Prior to moving to Africa University he managed the farm at Nyadire Mission in Zimbabwe. He began his work at Africa University in 2002. Larry is married to Jane, who is also a United Methodist missionary assigned to Africa University. They have four children: Ben, Andrew Pule, Carly, and Michael. Make an online donation to: Lawrence Kies #09572Z.